Item # 277610 Stash Points: 1,998 (?) This is the number of points you get in The Zumiez Stash for purchasing this item. Stash points are redeemable for exclusive rewards only available to Zumiez Stash members. To redeem your points check out the rewards catalog on thestash.zumiez.com. 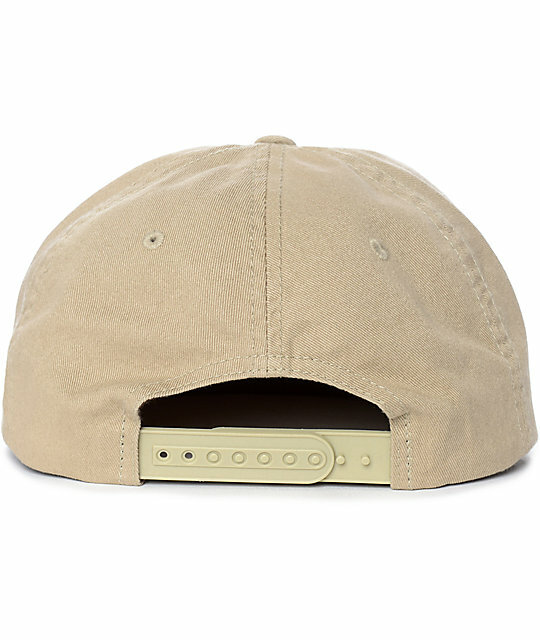 Crafted with a custom worn wash treatment offering a vintage worn-in look and feel, the Brixton Grade II Unstructured Khaki Snapback hat is simple and clean cut. Designed with a classic unstructured composition, the Grade II was given a stitched leather logo patch on the front, straight bill, and adjustable snapback sizing piece. 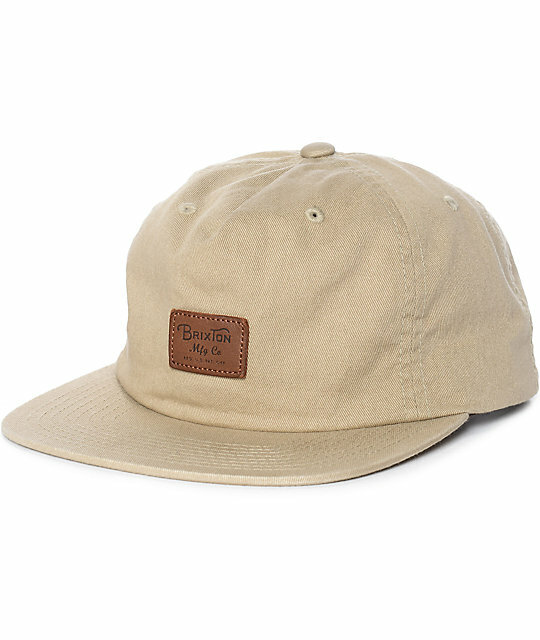 Grade II Unstructured Khaki Snapback Hat from Brixton. Stitched leather logo patch on the front crown. Custom "worn wash" treatment for unique worn-in look and soft feel.